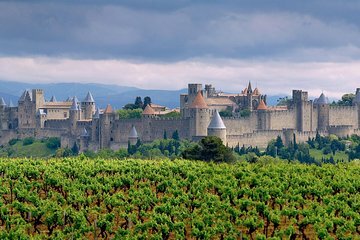 Spend the day exploring Carcassone with a guide. Ideal for visitors looking to expand their experience with a day trip to another city to learn about local history and culture. Visit the Comtal castle and the saint Nazaire Basilica and see other significant landmarks with insightful commentary from your guide. Relax and enjoy the itinerary prepared for you and don’t worry about driving or navigating. Place d'Arménie, 23 allée Jean-Jaurès à Toulouse. You must be 15min before the departure at pick-up.